After Flight Centre consultant Holly Keeble and friends had finished exploring South East Asia the next part of their Round the World trip involved discovering Australia. On the advice of travellers they met on the road they set off to drive the Great Ocean Road - despite having no idea what that would entail! During our time backpacking around Australia, lots of travellers recommended we drive a campervan down the Great Ocean Road. I’ll be honest, I didn’t have a clue what that meant. For those of you who, like me, haven’t got a clue, the Great Ocean Road, is a 243-kilometre stretch of road along the southern coast of Australia crossing the border between South Australia and Victoria - and it is spectacular. 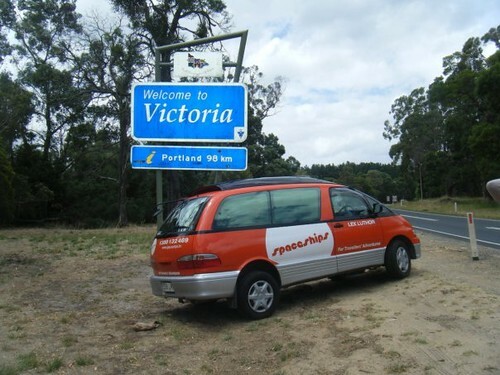 We had decided that a 9 day stint driving from Adelaide to Melbourne should do the trick, even though funnily enough to drive the road straight, it only takes 9 hours. We were hoping for a chilled out week of cruising by the Ocean, gaining a right arm tan and listening to the Beach Boys and it turned out to be exactly that. As we started our adventure in Adelaide, a couple of the little towns I mention are actually before you hit the Great Ocean Road but are definitely worth the visit whilst in this region. The first town we came across was Robe, a quaint little seaside town where the beaches are gold and the sky couldn’t be bluer. I’ll admit, we were pretty lazy whilst in Robe, where sunbathing was very much the order of the day. However, if I were you, I would stick around for a night of live music, English style pubs, and generally a friendly small town atmosphere. Our mode of transport was a ‘Spaceship’ campervan which was very cosy! We seemed to have a problem with our tent so slept for 9 days with one person sleeping in the driver’s seat and the other 3 in the back, fashioned into some sort of cocoon. It made it seem all the more adventurous! Our next stop was Mount Gambier, which is a very green town. You’ll find most of Australia is the expected sort of red/orange colour, whereas Mount Gambier seemed to be the opposite of that. You have to head to the ‘Blue Lake’. It is a volcanic lake where the water from December to March is a crazy cobalt blue colour. It looks like if you were to dip your toe in, it would almost definitely freeze off. Also in Mount Gambier you will find Umpherston Sinkhole. 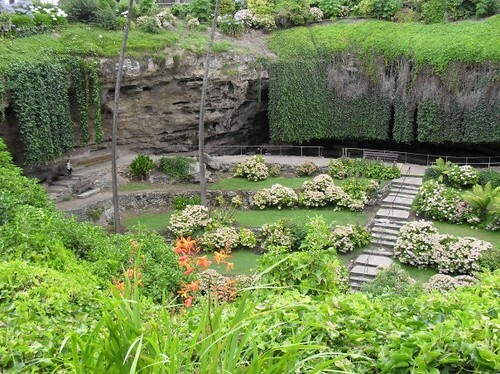 I know that sounds like some sort of child’s cartoon, but it’s actually a spectacular sunken garden. It was once a cave made from the dissolution of limestone. Pack a picnic and venture to the bottom of the garden and see what you can find! Umpherston Sinkhole - actual name! 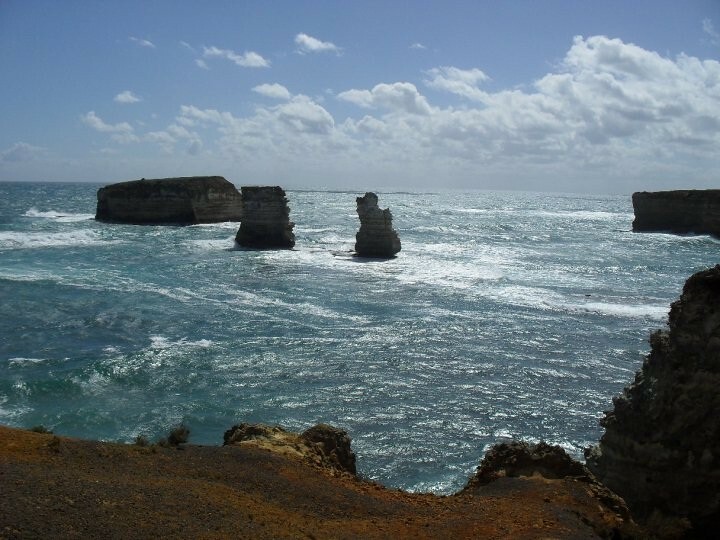 After stopping and causing havoc in a couple of other little towns, we came to the main attraction of the Great Ocean Road - The Twelve Apostles - a collection of limestone stacks jutting out of the water just off the shore of Port Campbell National park. You cannot help but be in awe of the absolutely breathtaking view. All you can hear is water crashing over rocks, and it makes you want to stay put for a while. Pack a jacket though, because it is freezing out on the viewing point! Our next stop from here was in Torquay, (I am still in Australia, honest!) Close to Torquay you will find one of Australia’s best surfing beaches Bells Beach. Renowned for hot totty catching some waves, I’d say it was worth heading to! To see their skills of course! In Torquay you will also find a surf museum which is great for becoming well acquainted with this huge Aussie sport. 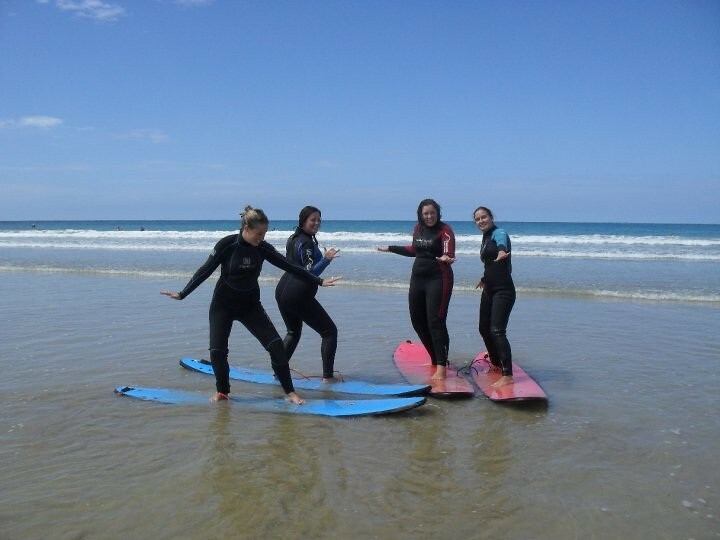 It was in Torquay that we learnt how to jump up on the board and catch a wave, though I don’t think there were many waves being caught at all..
My last tip for the Great Ocean Road is one I like to think not many others know about. Hidden away in the forest is the Great Ocean Road wildlife park. It’s just a small park but with tonnes of animals that you can get up close and personal with. For a measly $9 (that’s less than £6 for us Brits! 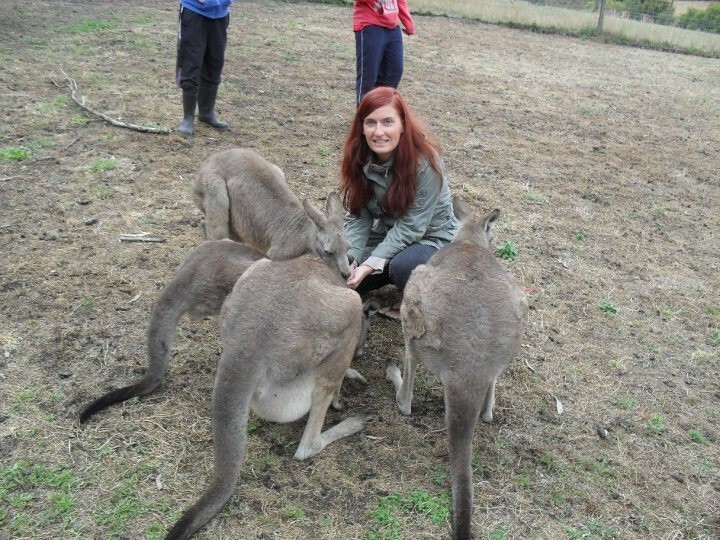 ), you can feed kangaroos, meet an albino dingo and stroke James the Wombat. I’m quite sure that a zoo in Sydney would charge you quadruple that price to just step through their gate. Definitely worth a stop off, if you can find it! 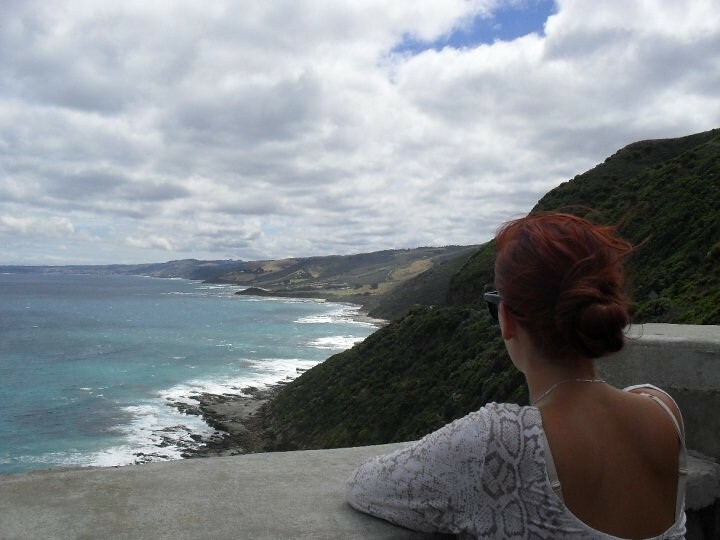 Is the Great Ocean Road on your Essential Aussie Checklist? Check it our fantastic holiday deal South Australia & Great Ocean Road, 14 nights from £2,549, along with our other Essential Aussie Checklist items here.